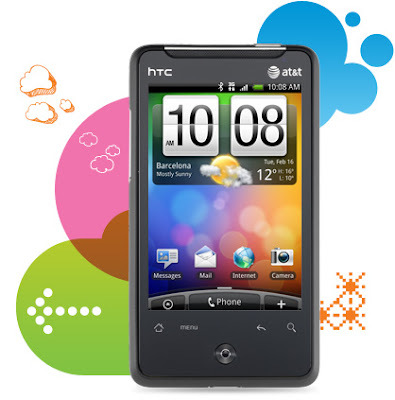 HTC has unleashed a latest handset that runs on Android 2.2 (Froyo) operating system. This phone is a look alike (an alter ego) of HTC’s another phone HTC Aria. 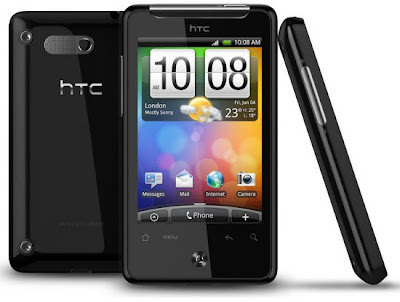 In fact, HTC Gratia is just HTC Aria in new garbs and a new OS, other specifications remain unchanged. The Android smartphone, HTC Gratia is sleek, elegant and stylish. Its performance and looks are compelling. Its size is such that it is compact at 4” length. It also flaunts Android 2.2 and a speedy 600MHz Qualcomm processor. It also sports a 5MP photo snapper. The photos clicked by this awesome camera may be seen beautifully on a 3.2-inch touchscreen. It is a light-weight phone weighing just 4 ounces. The handset will include HTC’s Sense UI as standard. HTC Gratia got some new garbs and thereby it will be available in three vibrant colors as White, Green and Black. The Gratia has a 384MB RAM (512 ROM) that is ample amount of storage for data saving in the mobile. The network supported on the handset is dualband 900/2100 HSPA/WCDMA. HTC has not yet revealed any concrete release date for the phone but it is expected to come out in November. Even the pricing details of this desirable touchscreen gadget are under wraps. Nice write-up. I just came across your website and would like to tell you that I have certainly appreciated reading your posts. At any rate I'm going to be subscribing to your feed and I hope you write again soon.